The Music Modernization Act, now know as the The Orrin G. Hatch Music Modernization Act (MMA), has unanimously passed the House of Representatives after clearing the Senate last week. The bill which is designed to improve streaming royalty rates for American songwriters, will now go President Donald Trump’s desk for signing. The bill, which if Trump signs will go into effect on January 2, 2021. It’s set to administer a new blanket license for digital mechanical royalties, work to identify song owners so they can be properly compensated, distribute unclaimed funds and represent every American songwriter. The Music Licensing Collective (MLC) will have all costs paid for by the streaming companies in which 100 cents of every dollar collected will be paid to the songwriters, a history-making first. 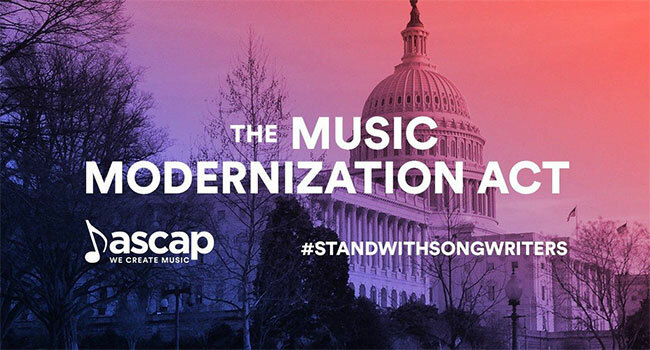 The bill will also see changes the standard by which songwriter streaming rates are established replacing an outdated 1909 law that governs songwriter mechanical or sales royalties, changes consent decree regulations from 1941 that govern songwriter performance royalties. It will also require the random selection of judges when performing rights societies ASCAP or BMI go to a rate court proceeding. Presently those judges are appointed for life. The bill will eliminate the disastrous Notice of Intent (NOI) program administered by the U.S. Copyright Office that allows digital streaming companies to put the licensing burden back on songwriters. It also guarantees streaming royalty payments to artists whose recordings were done before 1972 who now are not required to be paid due to a loophole in the Copyright Act. The act also pays streaming royalties directly to music producers and engineers instead of going through other parties first.